Kate Langberg adapts to new situations as easily as she adapts to high altitude. She’s a process-oriented thinker who can navigate complex business issues across industries as smoothly as she navigates the ski slopes. Efficient and dedicated, she is a strong believer in the power of cross-functional collaboration and communication to move mountains and drive true business impact. 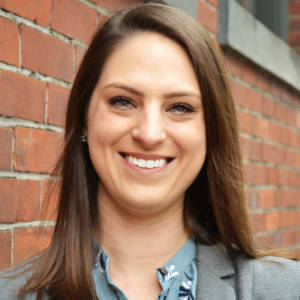 Kate developed an interest in process improvement and change management early in her career and refined her expertise while working in the homebuilding industry and for the emergency management industry. Her extensive experience spearheading improvement initiatives, conducting data analysis, and implementing training tools make her a go-to leader for projects that span disciplines. Kate holds a bachelor’s degree in industrial and systems engineering from the University of Washington. Prescription for life: Live today, for tomorrow it will all be history.